There are several Wheelbase integrations you can choose from, but generally only one or two that will make sense for each customer. 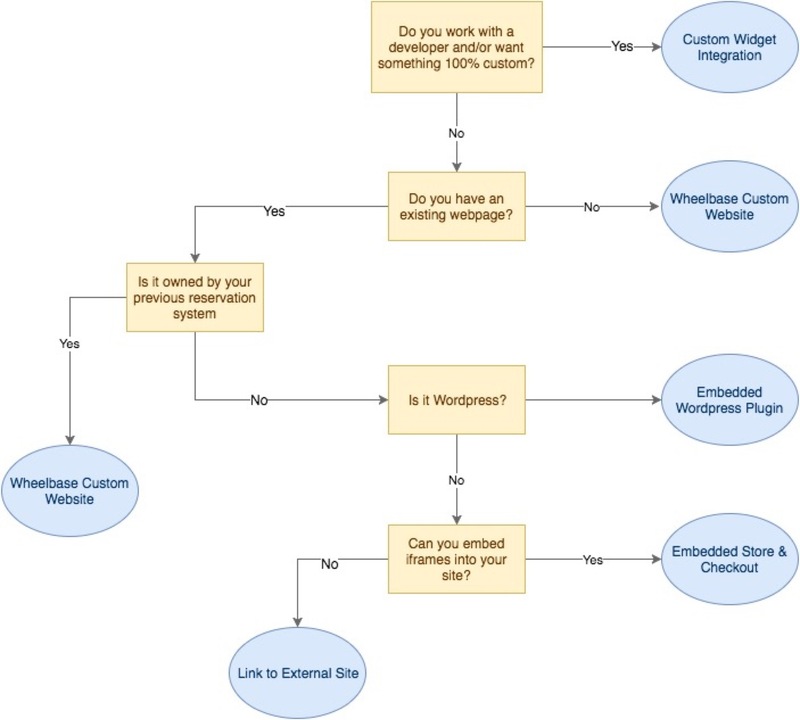 Here’s a quick guide to helping you pick the perfect integration option. If you don’t already have a site, or if you’re looking to upgrade your existing one, Wheelbase provides a free mobile-friendly website you can use. Renters will be able to shop for rentals, view availability and even book online. You’ll have a login to edit site content & make customizations as needed. Turnaround time for custom sites is about a week, so let us know if you’re interested in one.